From historic viking settlements to incredible national parks, there are a lot of reasons to visit Newfoundland. This eastern province of Canada features some of the most colourful towns, unique wildlife and the best opportunities to see icebergs just off-shore. While the province has a unique list of natural sites, the area is also known for its viking connections. Visitors can still see the remains of settlements along the famous Viking Trail. Here is your guide to the Viking Trail, and other unmissable sights in Newfoundland. 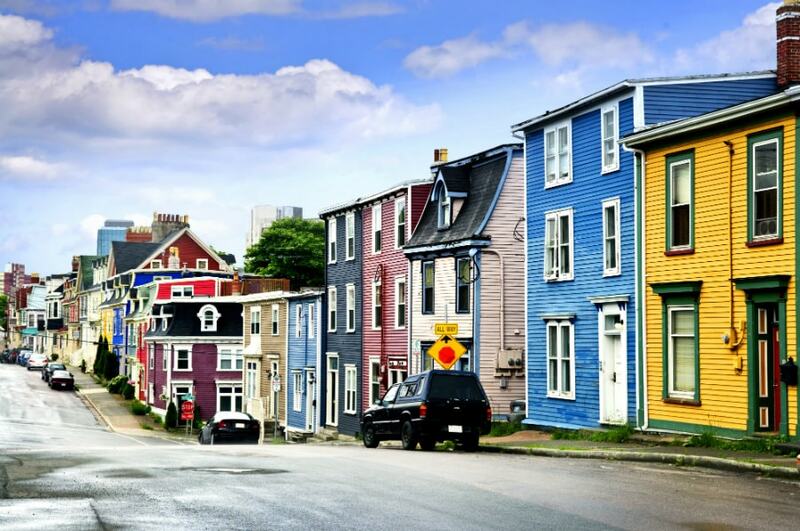 There are a lot of sights to add to your itinerary in St Johns. Newfoundland's unique architecture is most evident along the colourful Jellybean Row. Once you've seen the photogenic houses, visit The Rooms, a large collection of artifacts from Newfoundland that detail the history of the area. For a great view of St Johns, take a short drive up to Signal Hill. This historic site was used in World War II for harbour defences, and is still a fascinating place to visit today. Just south of St Johns, see more views of the Atlantic at Cape Spear Lighthouse, which marks the easternmost point of North America. Hit the road and follow the Trans-Canada Highway. You'll need to make a short detour to reach Bonavista, but the scenery will be well-worth it. As you make your way north, stop by at the picturesque town of Trinity. The town has its own fair share of saltbox houses, walking trails and friendly locals. If you're feeling adventurous, a hike along the Skerwink Trail will introduce you to the region's dramatic coastline. Just north of Maberly is one of the best puffin viewing areas in Canada. At the right time of year, visitors can see these incredible birds up close. A short drive away, visit Bona Vista, the site where North America was first discovered by settlers. 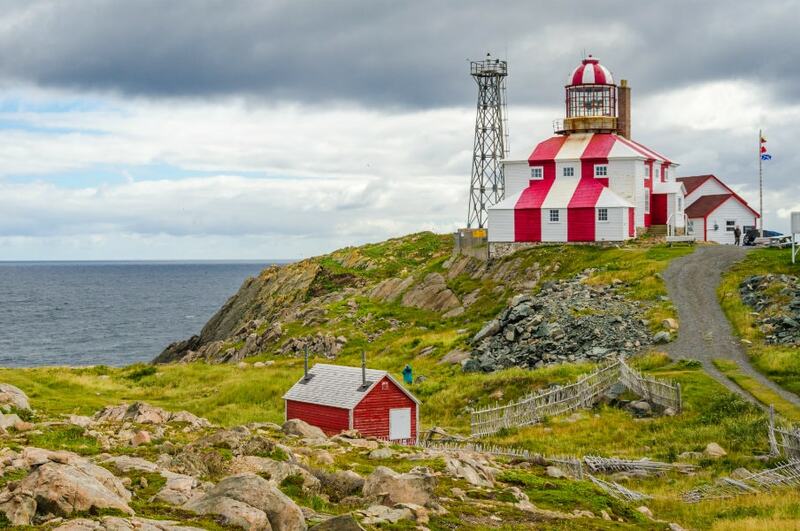 Visit the brightly-coloured Cape Bonavista Lighthouse, or see the dramatic views at the Dungeon. 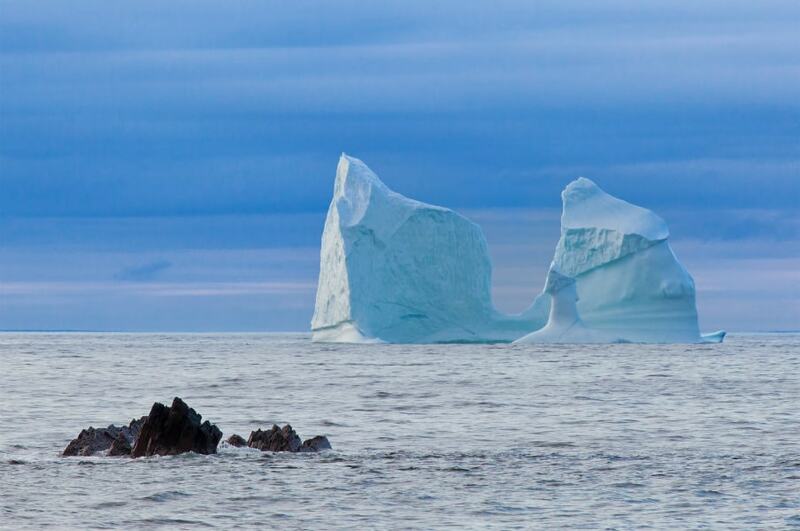 At certain times of year, you may also be fortunate enough to see the giant icebergs that float by the coast. On your way to the famed Iceberg Alley, there will be plenty of scenic stops along the way to break up your journey. The first of which, Terra Nova National Park, offers an array of hiking trails and opportunities to kayak in sheltered bays. Continue heading north toward Twilingate, and get ready to experience some of the best coastal scenery Newfoundland has to offer. Icebergs that are thousands of years old float by just off-shore, and visitors can see whales, dolphins and seals from the rugged coastal hiking trails. There is no doubt that Twilingate is a natural wonderland. Your first stop should be the local museum to learn about the history of the area. Afterwards, set out on one of the many walking trails and experience the magnificent scenery. 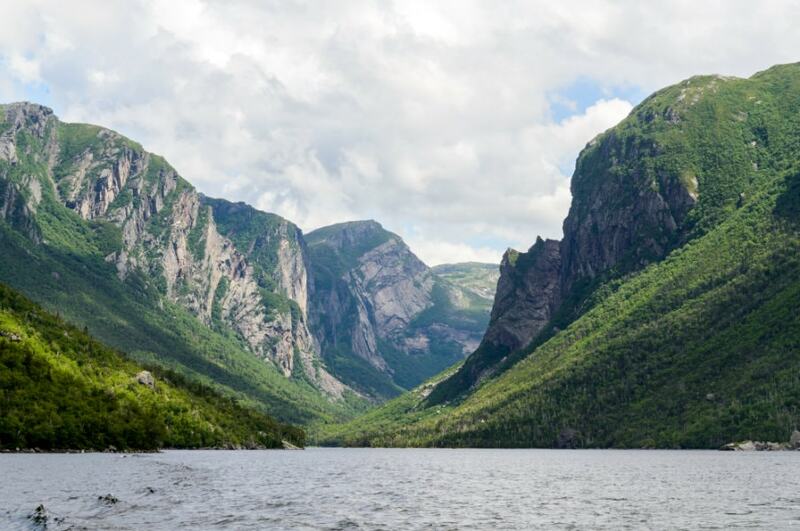 Although it is hard to choose just one spot to name the most beautiful in Newfoundland, Gros Morne National Park is definitely a front-runner. The UNESCO World Heritage Site is home to mighty fjords, cliffs, waterfalls and a few famous hiking trails that take in some of the best scenery in Canada. The best way to experience Gros Morne National Park is on foot. If you want to tackle some of the more challenging hiking trails, it is recommended that you spend a few extra days in the area. There are trails for beginners as well, whether you want to explore the beautiful Tablelands, see the fjord from Western Brook Pond or hike along the cliff tops. From Gros Morne National Park, follow the Viking Trail along the western coastline and see some important historic sites. While the viking history is the main thing that attracts visitors to the area, there are also some incredible natural landscapes along the route. Pull in at Arches Provincial Park to see the rocky coastline. 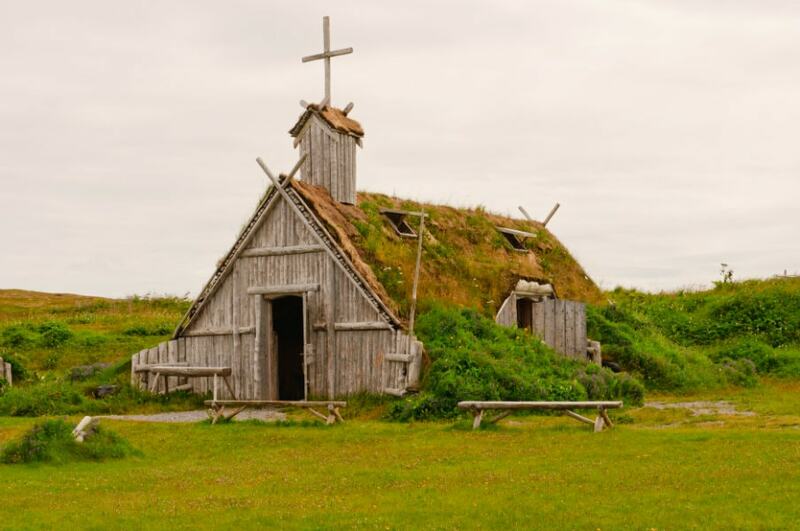 Follow the road all the way to L'Anse aux Meadows National Historic Site, where you can experience the world of the Norse vikings. See what life was like for the vikings, and hear the famous Sagas. Make sure you pay a visit to Norstead, where you will find a recreation of a viking ship that came to Newfoundland from Greenland.